Brand mentions are the future of link building. And if you're wondering where we got this kooky idea from, well the answer is simple: Google itself. For the big search engine (for whose first page we all fight for) brand mentions are becoming very important to a site’s authority, but it appears that traditional links are not obsolete. Both express links and implied links (brand mentions) are now used by Google when ranking a website. So here's how to convert unlinked brand mentions into links in 3 easy to follow steps. Link building is important as links are the most important factor in Google’s ranking algorithm. By now you might be wondering how can you integrate your brand mentions within a link building campaign. In the following lines, you'll discover 3 easy steps on how to find and convert your brand mentions into links. No link schemes, no difficult marketing strategy. Easy like a Sunday morning. Do the job without tools; all you need to do is find anything written about your brand on the internet. You can use the omnipresent-knows-it-all Google for the job. This would mean to use advanced Google search operators to find your mentions and after that some other searches to figure out if certain mentions are linked or not. 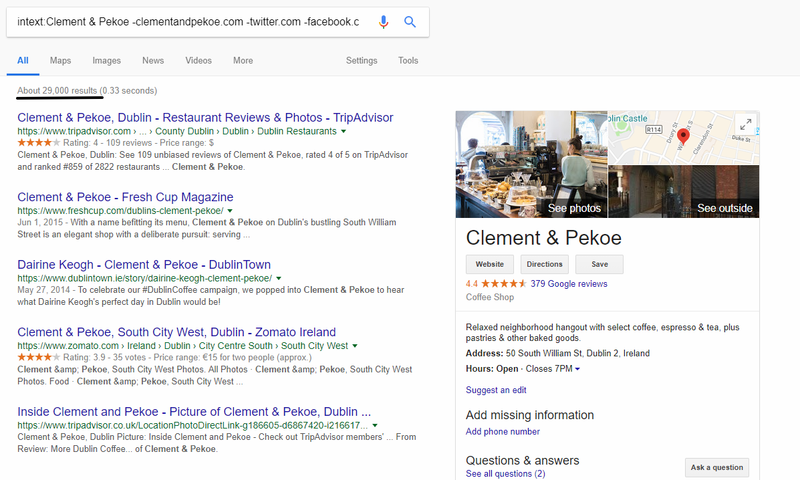 To better understand how this works, let's work on an example: Clement & Pekoe, a neighborhood cafe based in Ireland who will hopefully find this unlinked mention. In translation, we've searched for all the places where the keyword Clement & Pekoe appears, except their own website and most important social media channels, as we're looking for web mentions. As you can see, almost 30k results appear. Which is great...yet, how can you find the unlinked mentions in all this clutter?...with a mountain of patience and lots of time. You can look for the results from a custom period of time to narrow your results but still, a lot of manual work needs to be done to find out the unlinked brand mentions. 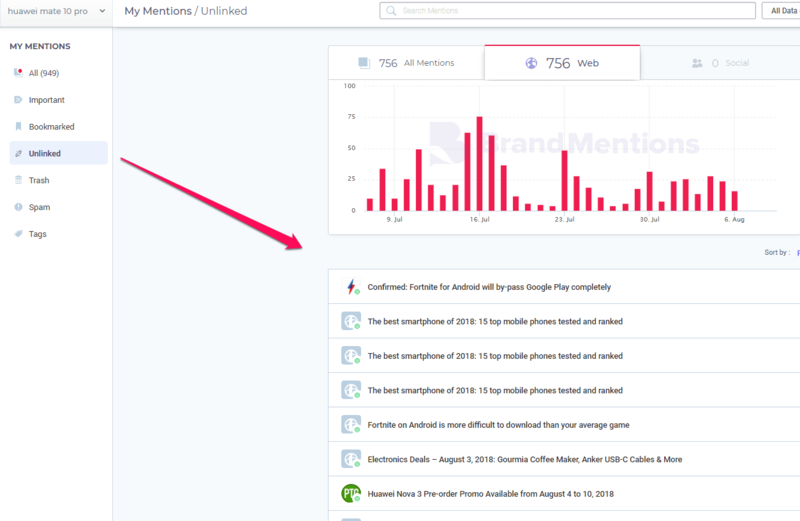 If you want to save huge amounts of time and get a more accurate view on your mentions and the people or sites that mentioned your brand, we recommend you to use the BrandMentions app, the ultimate unlinked mentions finder. It literarilly takes one click to uncover all your unlinked mentions. Let's stay in the coffee shops territory but let's go with an international brand this time: Starbucks, who just got themselves a new unlinked mention. No time wasted, no headaches, no manual work. Unlinked mentions just one click away. Of course, you can apply lots of filters, look for custom periods of time, sort by performances, mentions with most shares, etc. Our brand mentions finder will help you not only view all your unlinked mentions but also specific sets of them that might interest you the most. Just like I promised in the very beginning, easy like a Sunday morning, isn't it? Now that you know how to access all your brand mentions, it's time you convert unlinked mentions into links. First thing first, look out for the authors of your mentions. They are the ones that can help you out. Big time. The image below is a screenshot from the list of unlinked mentions offered by the BrandMentions app. Dig a bit more into this mention to find some other relevant data about it, like the name of the author. Now that you know the author, try to find a bit more him/her. 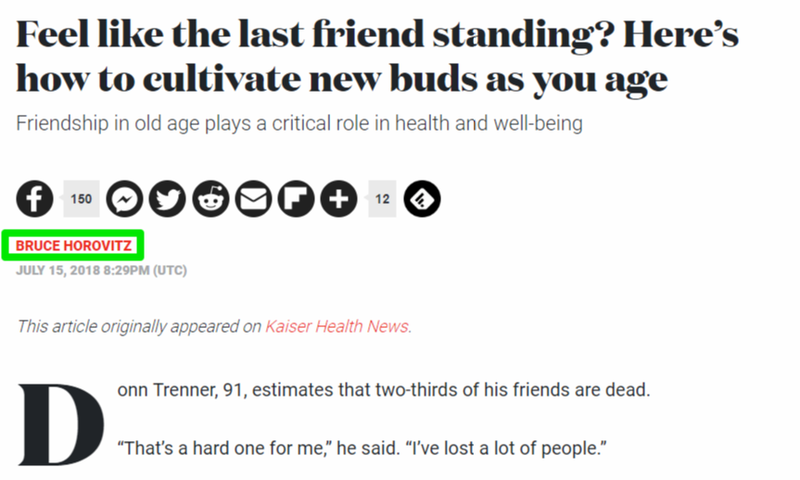 What other pieces of content has this author written about? Were you mentioned in other of his/her articles? Check out the author's social profiles, learn a bit about his work, his interests, etc. You need to know what's important for the person you're outreaching to. You may even find something to offer back. Remember when you were a kid and you knew that before asking for a sleepover, you needed to behave, clean your room, eat your vegetables? Well, the same thing applies here. Before asking for a favor, be ready to offer one in exchange. 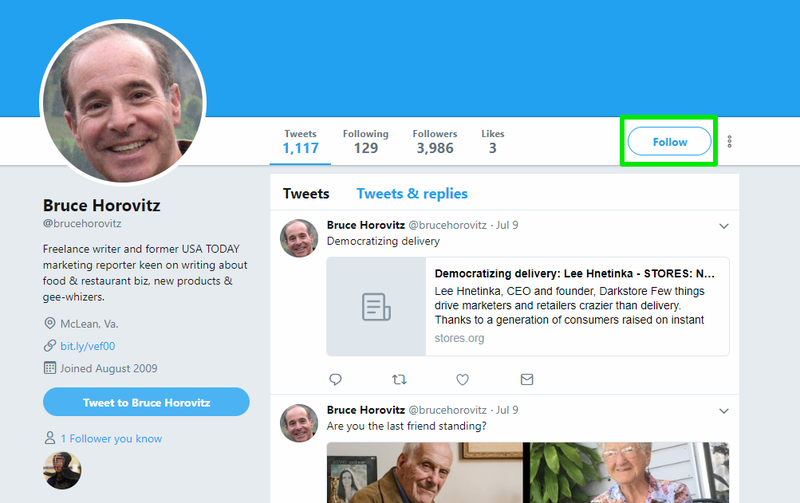 For instance, in the case of Bruce Horovitz, one could let him know that the URL he's sharing on his Twitter profile is broken. Disclaimer: we do not know Bruce Horovitz and we hope he doesn't mind we used his name for exemplification purposes. Here is where the fun part begins. Outreaching and asking the authors to add a link to your mention. Of course, your strategy should adapt depending on the type of mention you got; negative brand mentions should be tackled differently. If they already mentioned your business, it's clearly that they are interested in your brand. Moreover, if you get to know the authors a bit prior to writing them (Step 2) or even help them with something, you increase your chances of getting not only a high-quality link but also a long-term relationship. Contact them (make things personal), build a relationship, and afterwards, ask them to add a link to the mention. 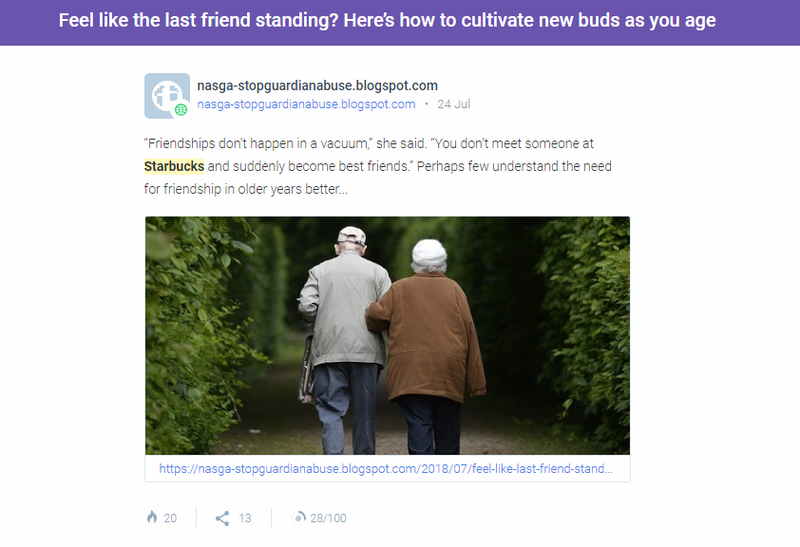 Obtain a high-quality link and potentially gain a long-term relationship. We know that it's easier said than done, but believe us, it's doable. Find out more about how to use mentions in your favor and gain a rewarding outreach campaign in our previous blog post. 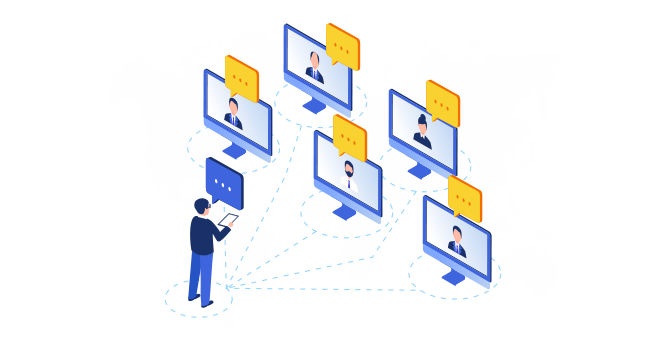 Rather than sending out messages in all directions through a variety of platforms, focus on building a network and convincing people of the value of your product or service. You'll get way more this way. Remember: whether your business is new to link building, or you have been doing it for a while, there is an underused link building technique that might help you to secure high-quality links: Claiming Unlinked Brand Mentions. Follow the steps above and get the links and the Google ranks you deserve. This is not a link building guide nor a link building training or a complicated technical SEO strategy to trick the search engines. It's a 3 easy-to-follow steps guide that will help site owners and marketers working on building brands to upgrade their game.